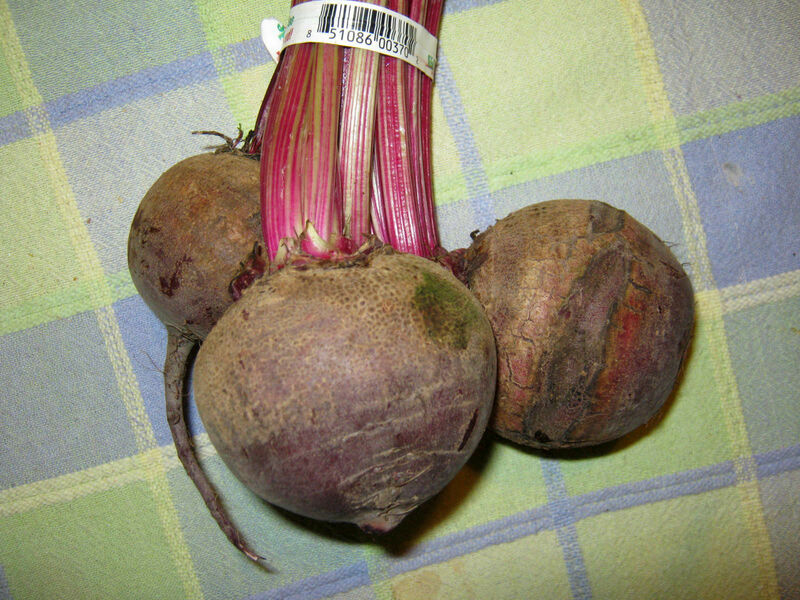 Produce & Pots and Pans – Beets! •Beets are a high source of energy. This week, when I saw a bundled bunch of beets in the farm market for a good price, I thought, ‘Why not?’ Beets are full of vitamins and minerals, and are something different to serve with meals…at least in our house. I often make RED BEET EGGS as a side dish, but use canned beets for that recipe. 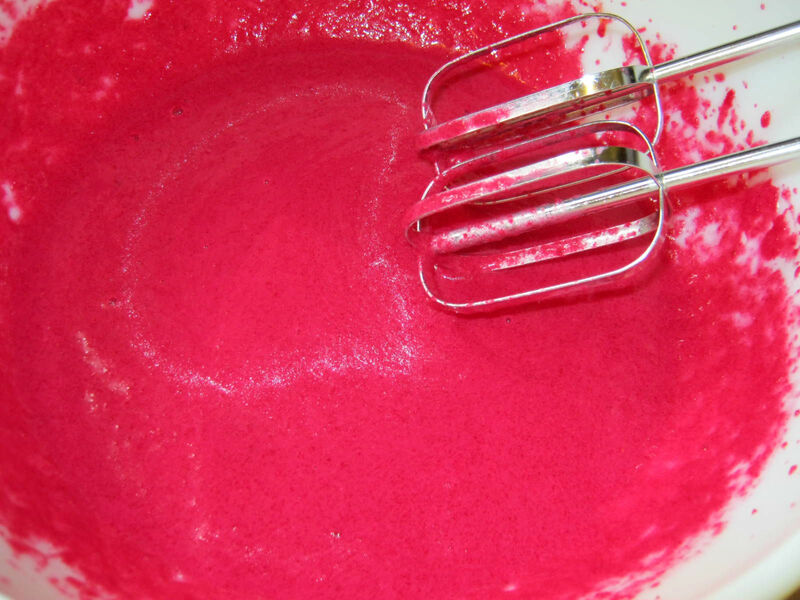 Because I am sensitive to red food coloring, I wanted to try a red velvet cake recipe of some kind using the beets as the coloring agent. I found a link for a good Red Velvet Beet Cupcake. Yummy, Healthy Easy’s Blog – Red Velvet Beet Cupcakes. 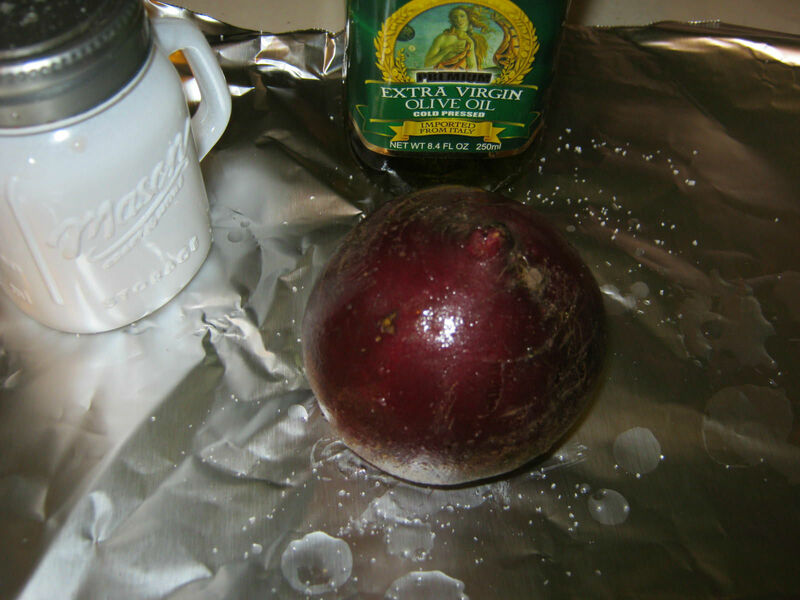 This recipe turns out well and has great directions for roasting the beets in the oven. I roasted an extra beet and devoured it when it was cool. Delicious! I will be roasting beets for our dinners in the near future. Roasted beets processed according to the cupcake recipe directions. What a yummy pink the beets created. I modified the recipe a bit to suit what I had on hand, substituting cake flour, apple cider vinegar for white vinegar, sugar in place of stevia, and dark chocolate cocoa powder in place of regular. 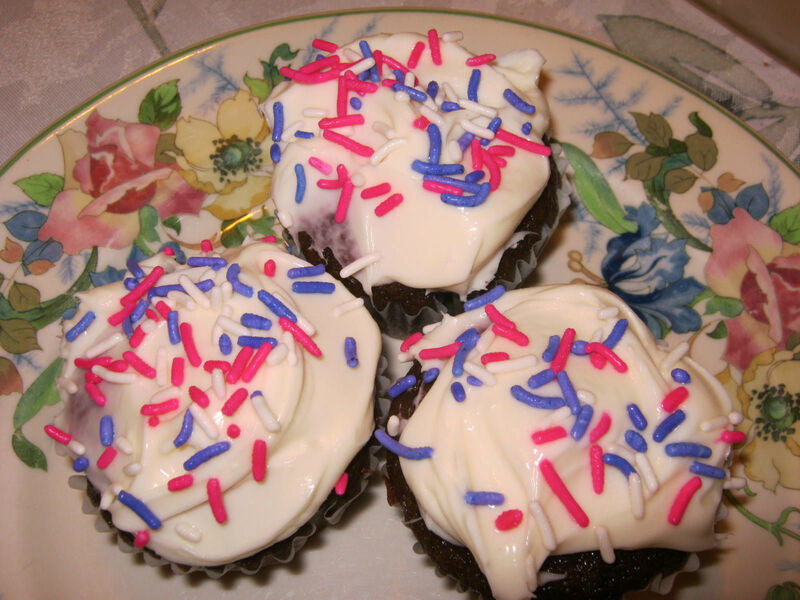 The use of the dark chocolate is probably why there is no trace of the red beet color in my cupcakes. I also did not use food coloring as this was the point in me using the red beets. Blend together with beaters until smooth. I like to refrigerate these cupcakes to keep the frosting fresh. 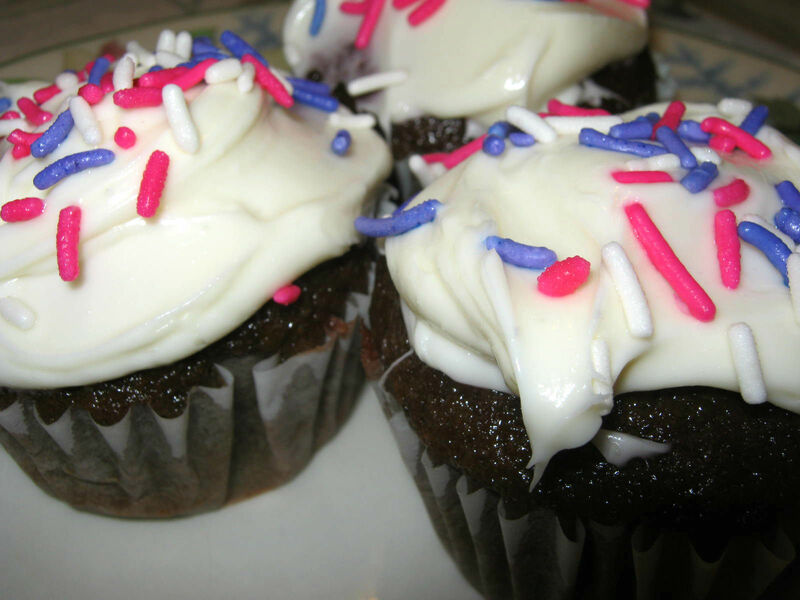 Delicious…give this recipe a try, easy and healthier than boxed cake mix. the chocolate cake looks so moist! I tried to grow them last year, but they didn’t produce the beet, only some crowded greens. I think I missed thinning them out soon enough. This year I’m going to attempt more than one variety. The first package I bought says they are biennial. I’ve always thought all beets were annuals. I’ll have to see if I can find another packet that says they will produce from the first year. I think this year I will try a few of the greens from the biennial in salad. May have to try those! I buy beets in the summer as long as I can get them! Fresh beets are the best! They are very easy and don’t need any strange ingredients, my kind of recipe! I love beets. Sometimes I crave them. Glad you found a good recipe.